Banner Life offers a unique policy option: Laddered Life Insurance Riders. Many people want to purchase life insurance in way where there will be different amounts of insurance in place at various stages of life. The Banner Life term riders allow you to do that in a more cost effective manner. This is done by only charging a single policy fee per policy. A standard laddered approach requires you to pay a policy fee for each component of the plan. Helps to satisfy those that feel under-insured when their financial responsibilities are highest or over-insured as their financial responsibilities decrease. Riders are available for 10 year, 15 year, 20 year term life when added to the base 15 year, 20 year, or 30 year level term policy. The base policy is always the portion of the policy that has the longest term period. You can add a 10 year rider to a 15 year level term policy. You can add a 10 year or 15 year rider to a 20 year level term policy. You can add a 10 year, 15 year, or a 20 year rider to a 30 year level term policy. • Married couple with two young children and a mortgage. Only the 35-year-old husband has a salary from full-time employment. • They are looking for a life insurance plan that will protect their financial interests if the husband should die. • They want an affordable plan that will pay the mortgage, let their kids go to college and provide the money they’ll need to continue their accustomed lifestyle. • In today’s world of term insurance, they have three options: buy a plan that covers the full need for the entire time they want to be protected, or buy four separate plans with specific face amounts and durations, or buy a base plan with riders that address coverage needs that won’t exist sometime in the future. • Buy a term base plan with one or more term riders. At Legal & General America (Banner Life) this is the lowest cost option for the full coverage the couple needs now. See an example on page two that shows savings of 11-13%. 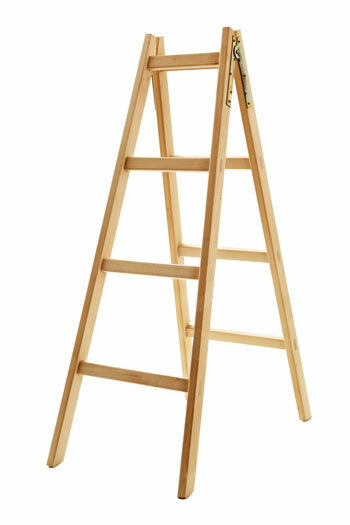 • “Ladder” the riders so there is appropriate coverage for each of their predetermined needs. • Coverage for stay-at-home spouses is also available up to $1 million, but all coverage amounts can be considered on an individual case basis. • The Laddered Life Insurance base plan stays in force for the longest period of time. In this case, to cover the couple’s income replacement needs. • Individual riders have face amounts tied to specific needs, like mortgage payoff or college tuition. The rider durations are based on how long those needs will exist. • The Laddered Life Insurance coverage expires at the end of the rider term period—for example when the couple anticipates the mortgage will be paid or the kids will have graduated. • When the Laddered Life Insurance rider coverage expires, the total coverage is less, and future premiums are lower. • The cost per $1,000 of coverage is the same on the base plan and on the riders. • The individual gets full coverage now at an affordable price. • The Laddered Life Insurance approach saves money because there are no policy fees on the riders. Other companies would require multiple policy fees. This can add unnecessary cost. • Billing is consolidated making for easy payment. • Premiums drop after each rider expires. • Multiple riders of shorter durations can be laddered. • Riders are separately convertible while in force. and 7. He currently teaches and coaches and plans to work until he is 65. Their mortgage, currently $250,000, has 20 years remaining. They expect their children to attend college. Based on their current needs analysis to cover income replacement, mortgage payoff and college tuition, the total life insurance need is $2.23M. If Evan ladders coverage using Banner Life’s (Legal & General America) Laddered Life Insurance term riders, the cost of his premium is lower than the cost of four separate OPTerm plans or the cost of one large OPTerm plan. The cost of the ladder coverage is explained below. Take a look at your existing coverage. Does it make sense to use a laddered approach? If you are currently using a laddered approach, you should know that the average policy fee for term policies is about $60 per year. By cutting 3, 4, etc. policy fees down to a single policy fee with a Banner laddered term policy, you could potentially find substantial savings. We offer instant term life quotes at our site, but not for the Banner laddered riders. Contact us below so we can run quotes for you. Upon receipt of your Banner Laddered Term Life Policy request, we will compare the rate for the policy with all other options. In some cases, it is still less expensive to purchase three individual policies from another carrier, even though those policies will each have a policy fee. The numbers are the numbers. Let us help you to figure out the best way to structure your life insurance. Legal & General America life insurance products are underwritten and issued by Banner Life Insurance Company, Urbana, MD and William Penn Life Insurance Company of New York, Garden City, NY. Banner products are distributed in 49 states and in DC. William Penn products are available exclusively in New York; Banner does not solicit business there. Banner OPTerm policy form # ICC12OPTN and state variations. William Penn OPTerm policy form # OPTN-NY. Additional Insurance Riders, form AIR (1-11), can provide temporary life insurance coverage for 10, 15 or 20 years after which coverage ceases. Term riders issue ages vary from base plan. Premiums are guaranteed to stay level for the initial term period and increase annually thereafter. Term rider coverage ceases at end of term duration. Annual premiums in these examples based on preferred plus underwriting class. Rates effective as of 10.07.2013. A cost-free MediGuide Medical Second Opinion is included with new policies and administered by MediGuide America. Policy form MMGR(12-09) and state variations. Available only in approved jurisdictions. The service is not guaranteed for the duration of the policy. A cost-free Accelerated Death Benefit Rider, Banner policy form # ICC10 ADB and state variations (William Penn # ADB(07-10)), is included with all policies. Two-year contestability and suicide provisions apply. Policy descriptions provided here are not a statement of contract. Please refer to the policy forms for full disclosure of all benefits and limitations. Fourth place ranking among US companies determined by 2012 yearend LIMRA report based on survey participants. Insurance policies contain exclusions, limitations, reductions of benefits and terms for keeping them in force. Your licensed financial professional can provide you with costs and complete details. This material is designed to provide general information in regard to the subject matter covered. It should be used with the understanding that we are not rendering legal, accounting, or tax advice. Such services should be provided by the client’s own advisor. Accordingly, any information in this document cannot be used by any taxpayer for purposes of avoiding penalties under the Internal Revenue Code. Securities and Insurance Products: Not Insured by FDIC or any federal government agency. Universal life policies may lose value. Not a deposit of or guaranteed by any bank or bank affiliate.